Lords Of Salem have released a new video of the song called "Rock n Roll Machine". Check it HERE. 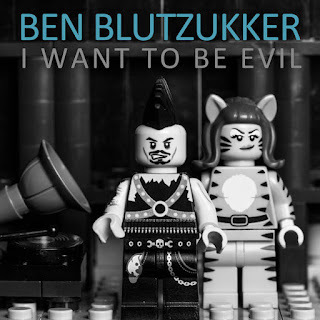 Ben Blutzukker has released a new tribute of a track titled "I Want To Be Evil (A Tribute to Eartha Kitt)". Check it right over HERE. 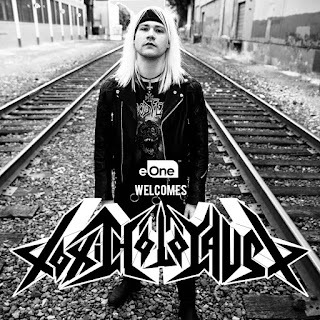 Portland thrash band TOXIC HOLOCAUST led by frontman Joel Grind has signed a worldwide record deal with Entertainment One (“eOne”) with plans to release a new album later this year. 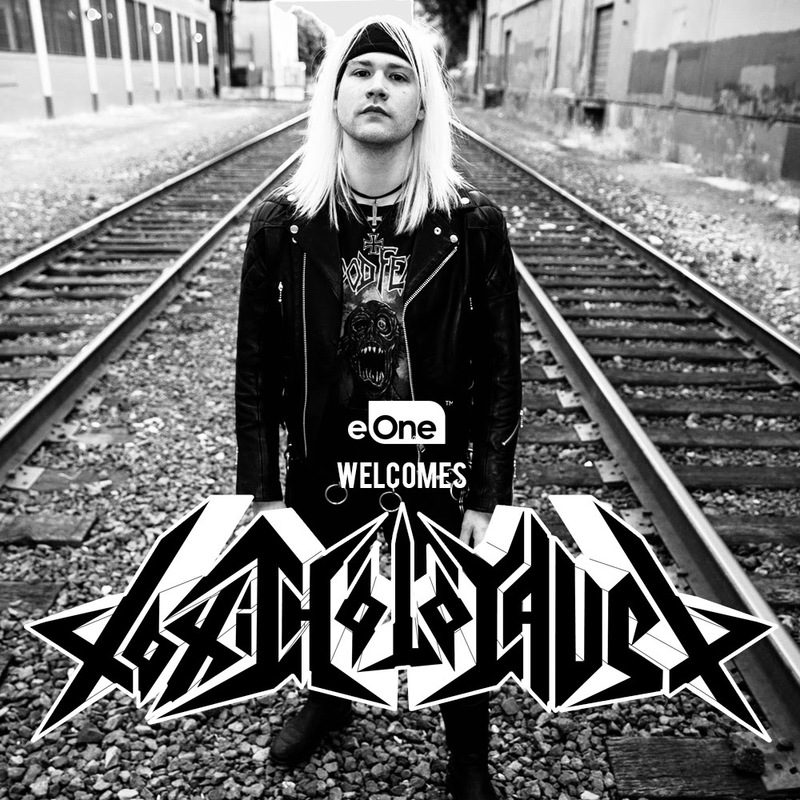 "I am proud to announce that not only is the new album finished but also that I have joined the roster over at eOne...and I am in good company," says Grind. Toxic Holocaust will be celebrating their twentieth anniversary this year noting their accomplishments and achievements since the band’s inception in 1999. Grind continues, "starting in 1999, Toxic Holocaust released its first demo. In 1999 Thrash Metal was about as 'uncool' as you could get. Struggling to find other band members and given the rural location, I forged on as a solo project." "New releases saw Toxic signing with a few noteworthy labels, touring, and spreading the music around the world. After various lineups and incarnations throughout the years, I have decided to come full circle for this 20th-anniversary era and release an album going back to solo project roots. This new album features me playing and recording everything just like the early days. Prepare for the next chapter." The band plans on hitting the road in support of the new LP later this year and have just wrapped a short run of west coast dates with Integrity. The band will play the Rickshaw Theater in Vancouver, BC on May 25 and the Rock AL Paraque Festival on June 30 in Bogota, Columbia. Darkthrone has released a new track titled "The Hardship Of The Scots". Check it HERE. Three Days Grace have released a new video of the track titled "Right Left Wrong". Check it HERE. Having started this project about a year ago, Ready To Rise is in hopes of doing big things! Only a few singles are out, with much more in the works, that this project got some time to spare, to discuss these matters and more! 1. Please tell us about the history of your band and its members. I founded my project about a year ago, while after being kicked out from a metalcore band, where I was their singer. 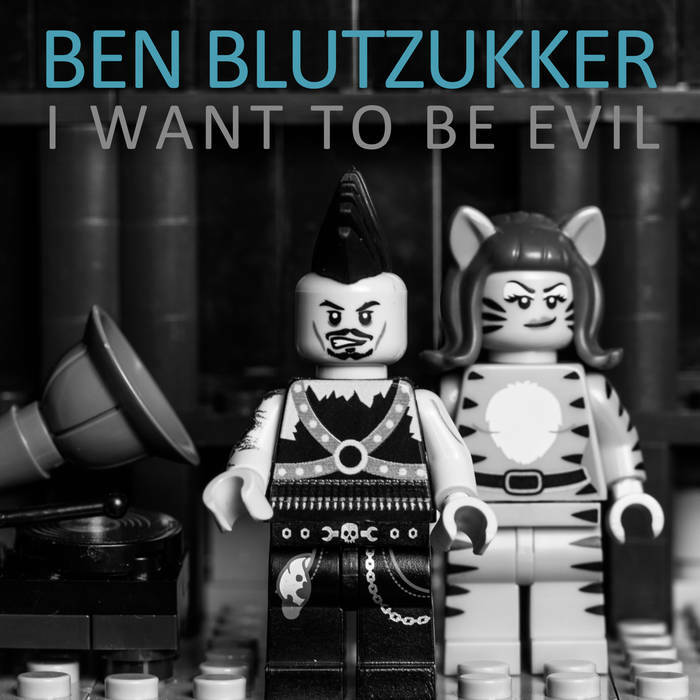 Now I am composing all of the stuff, including releasing three singles so far. 2. 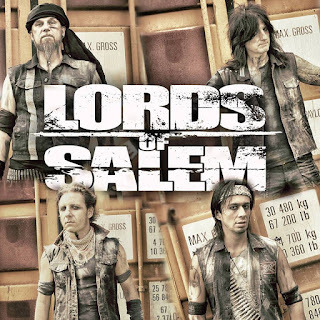 What’s the origin of the band’s name? 3. Where is the band based out of and what is your music scene like there? Are there any local bands you could recommend? (I am not sure about phrase base out, so correct me if I am wrong) My project is based out in the middle of Czech Republic and I really don´t like the music scene here. It is "typical Czech". It is completely different from the world metal style. I can recommend only "Overhype" or "Cocotte Minute". It is a mix of industrial, nu-metal and groove metal elements. Clean singing, sometimes rap and barely any screams. 5. What have you released so far and what can someone expect from your works? I have released three singles so far. I think people can find my music at least interesting. I hope my style minimizes the chance of my music being hated. 6. Do you have any new music in the works? I am working on a new single and I plan on having some hosts participate. 7. How about playing shows and touring, have anything planned out? Not yet, it is a remote future. 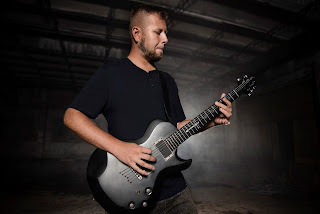 As I collect at least 8 songs, I will start looking for musicians to help me play them live. 8. What plans do you have for the future as a band? I want to become a well known composer. 9. Where can we listen to your band and where can we buy your stuff? YouTube channel, too - https://www.youtube.com/channel/UCP34eqdXswQr760FRxZE0YA?view_as=subscriber. 10. What is it you’d like a listener to remember the most when hearing your music for the first time? 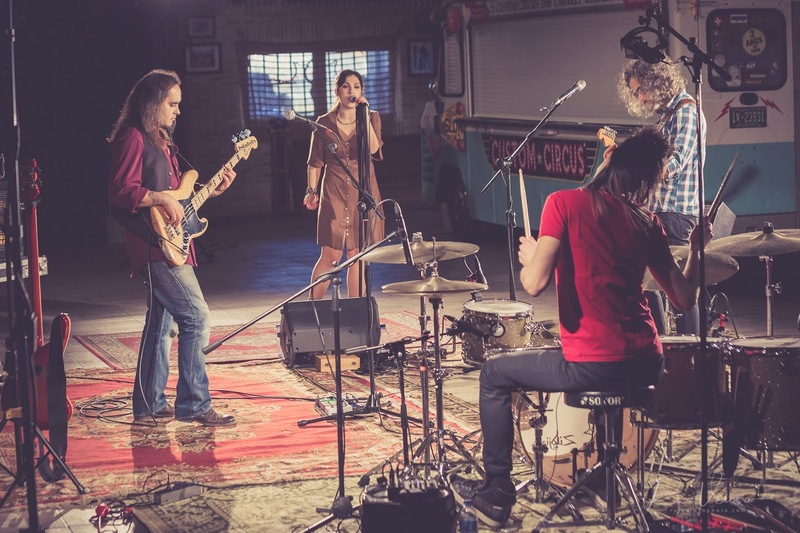 Blues rockers THE BATELEURS are from Lisbon, Portugal, being from the western shores of the old continent, comes a troupe of wanderers who together have kindled the fires of the art form that is music and almost extinguished nowadays. In other words, they create music and it makes waves, spreading far and wide worth. Thus, with that said, this band has the time to talk about themselves and their music. It all started when I (Ricardo Dikk, bassist) met with Sandrine (Vocalist) on a Studio session; we realized we had a lot of musical affinities, and we started playing covers in local clubs with a couple of old friends of mine; I knew Rui (Drummer) for a while then, and we’ve played together in other bands, and with his great passion for classic Rock and Blues he was the obvious choice; we’ve played essential classics from Zeppelin, Purple and some Blues, and after a while we felt a special chemistry with each other, and it was evident that we should try to write our own material; it was refreshing, because Sandrine’s Soul Music influences blended very well with our ideas, and we went to the studio to record them, all in a very old fashion way, without the tricks and fakes of the modern digital recording techniques, to try to capture that raw and true feeling of the old records we love; the result is the Immanent Fire EP. Names are a difficult thing, because they are the first impression you give as a band; we thought very much about it, and came up with this idea of The Bateleurs; it has a triple meaning: first, there’s this close homophone with the concept of the battle, and trying to succeed with a band has been always a succession of battles; the bateleur is also a species of falcon, and the concept of this proud and regal bird appealed to us; finally, the bateleur is also one of the cards of the Tarot deck, that depicts the medieval street jugglers and entertainers of the XIV Century in France; since Sandrine was born in Paris, and we also have a keen interest in the ancient occult knowledge and tradition, it felt pretty much perfect. We’re based in the metropolitan area of the city of Lisbon, capital of Portugal; the music scene is broad but very small, we’re a very small country, and the big majority of people are into Hip Hop and modern Latin music; the kind of niche we try to occupy is not very developed, and there aren’t many places to play and reach people that share the same views as us, that’s why we invest very much in promoting our music abroad. Anyway, there are a couple of interesting bands around, we could highlight Her Name Was Fire, a Stoner Rock duo with amazing energy and fine songwriting, and we have a Blues prodigy from the south of the country named Vitor Bacalhau that you should check out. It’s hard for a band to label its own sound, but if we try, we could say that the great bands of the 70's are the main foundation; we all love Zeppelin, Purple, Jimi Hendrix and Janis Joplin, and I think it shows in what we do, without trying to rip them off, of course; since we aren’t originally from an Anglo-Saxon country, it’s inevitable that we put our own spin on it; also, Sandrine’s Soul Music background gives the songs a different flavor, especially because this kind of music is mainly sung by men; we definitely have a big component of Blues in our genesis, and maybe a kind of Nashville/Country twist sometimes. We’ve released the Immanent Fire EP, composed of three songs, each one with its own video; our main goal with it is to try to attract people’s attention to what we’re doing, and try to give them a glimpse of the path we want to take; the thing people can expect is that everything we do is done without tricks; we record everything without any of the modern technologies that permit you to correct faults in our performance; there’s no digital editing tools and no pitch correction technology, we just go to the studio and play it and sing it until we capture our best, because we think that’s the only way to preserve the real soul of what we’re doing. Our main objective is to release our debut album, and next work very hard to book a European tour. We would like them to remember that in a world of increasing un-meaningful music, there’s still people doing it like it should be, with soul and feeling, and most importantly, with truth. 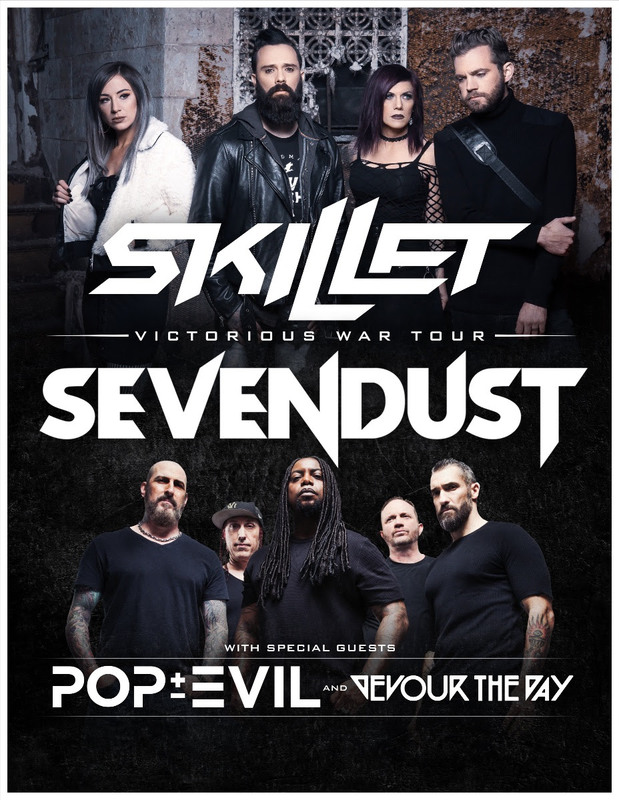 SKILLET and SEVENDUST will embark on the co-headline Victorious War Tour in August and September. Pop Evil will support, while Devour the Day will open the shows. The tour kicks off on August 11 in Memphis. 8/13 — Richmond, VA — Virginia Credit Union Live! 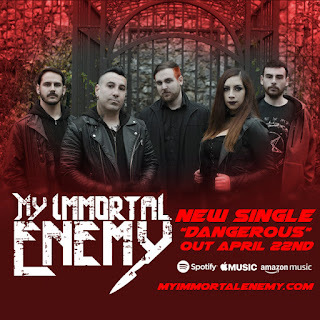 My Immortal Enemy has released an all new single titled "Dangerous". Check it HERE. Hooby and the Yabbit Talks of EP and More!